History students at The Sixth Form College, Solihull immersed themselves in Tudor History last week, as they embarked on a residential trip to London. 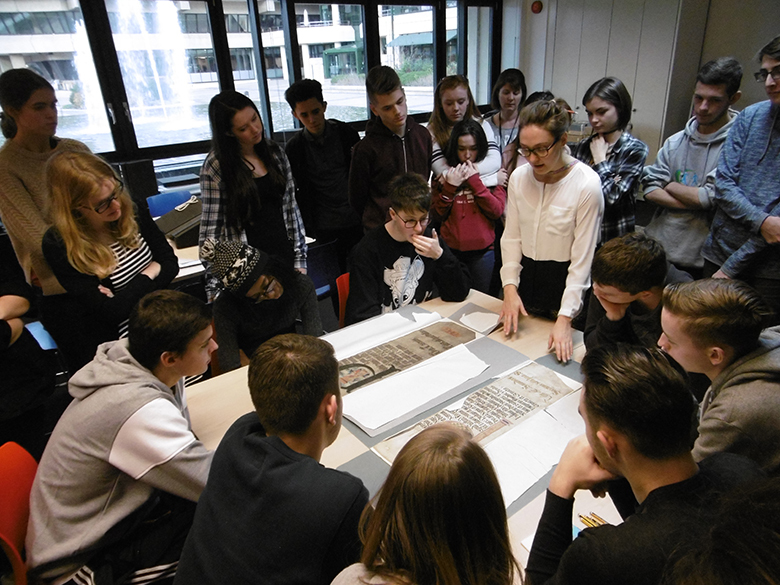 The A level History students started their fieldtrip with a visit to at the National Archives, which is guardian to some of the nation’s most iconic documents, dating back more than 1,000 years. While there, the students analysed primary data sources from the Tudor period, including Henry VIII’s actual will. Hampton Court and the Tower of London were also part of the trip. At Hampton Court, students completed a self-guided tour, visiting one of the Tudor dynasty’s main residences, where Edward VI was born and christened, and where Mary I spent her honeymoon. Their self-guided tour of the Tower of London saw students visiting the site where many Tudor contemporaries were held, such as Elizabeth I before she became queen, and the Dudley brothers, who were accused of rebellion, and where Lady Jane Grey and the Earl of Essex were both executed. The trip was completed with ice skating at Somerset House, a beautiful Christmas surroundings for skating in Central London at the residence of the Duke of Somerset. This fieldtrip followed hot on the heels of a trip to the University of Warwick, where students attended lectures by leading academics on the subject of Nazi Germany in preparation for their examination.